Matthew Etherington – the road to recovery. Excellent write up on one off our key players in our Premier League and cup success in recent years. He will be missed and good luck to him. 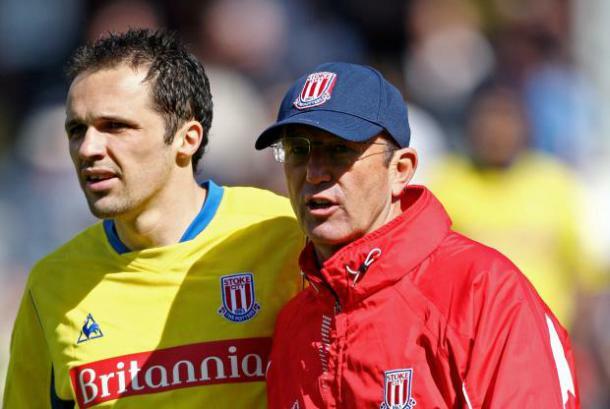 Maybe Palace bound in the summer if Pulis stays there? Out with the old, in with the new; that sums up this season quite aptly. New manager, new players, new style of play – a new direction. Amongst the many talking points that have arisen, a piece of news regarding one of our steadfast old-guard appears to have slipped under the radar. Matthew Etherington recently announced he would be leaving the club at the end of the current campaign and it will be a sad day to lose one of the players integral to our recent resurgence. His arrival in 2009 represented a tipping point for both the player, and our club, and things could’ve easily been so different for both parties….. This entry was posted on April 4, 2014 at 11:59 pm and is filed under Uncategorized. You can follow any responses to this entry through the RSS 2.0 feed. You can leave a response, or trackback from your own site.